The Sony Xperia Z5 Premium is the first handset in the world to include a 4K display, and as we told in our hands-on coverage, it's a real joy to behold. But despite boasting an unholy number of pixels that comfortably trumps any other smartphone for density, there are quite a few caveats. As Sony mentioned shortly after the announcement of the Z5 Premium, the device only renders media in 4K, with the vast majority of the smartphone's experience set at a less extravagant 1080p. 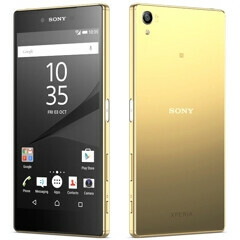 Noted at the time as a battery-saving measure, the Japanese firm has further clarified its stance on why the Xperia Z5 Premium's 4K display, for the most part, does not run at its native resolution. There's a few reasons – first up, after extensive user research and testing we found that rendering entertainment content in 4K, but still being able to access and use all the other great Sony smartphone features as normal without compromising on battery life, was an absolute priority for users. Many third-party apps are not designed or capable of running at 4K resolution (yet), but as Xperia Z5 Premium's display hardware has a 3840×2160 resolution (4K SID standard) with 806ppi, we feel we've created a future-proof device for the imaginations, developers and apps of the future. The idea of future-proofing seems a noble enough cause, but one can't help wondering if this is a marketing ploy to set the Z5 Premium apart from the rest. Even to the average consumer, '4K' is an alluring buzzword, despite the fact that for the most part, users cannot make the most of it. After the stuttered arrival of the Xperia Z3+ and Z4, Sony needed a strong response, and on paper, the Z5 Premium is just that. But with its marquee feature being somewhat peripheral, early adopters may be waiting a long while to really make use of its capabilities. If you are considering the purchase of an Xperia Z5 Premium, then the full article is well worth checking out at the source. There's a good reason. Scaling down 3840x2160 to 1920x1080 is an even 4/1 pixel ratio, which means 0 distortion and scaling artifacts. 3840/2 = 1920, and 2160/2 = 1080. 2560x1440 on the other hand would look warped and not scale right. PA do not be bad, When you will analyze Z5 Compact? This makes so much sense. No complaints at all. I want this phone !! I wish at&t would get it. Lol the S810 isn't capable of rendering 4K content, so it isn't that futureproof. https://www.qualcomm.com/products/snapdragon/processors/810 Yes it is. Even the SD805 was. SD805 cannot handle WQHD properly even though it is theoretically capable of UHD. From what year are you living? It's not 2012 anymore. Rendering picture and movie is a lots easier than UI and games. If Sony is very confident with their lines of Z5 phones and they want to enter the US market they should give their phones to Marques Brownlee and have him review their phones. He is one of the best reviewer and influential guy in the US. Don't need 4k on smart phones. I was born with human eyes. No virtual reality HMD in your conceivable future, I take it. At least Sony learned the hindrance of LG G3. After Phonearena removed the article about Xperia Z5 DxOMark scores.www.phonearena.com/news/DxOMark-says-the-Sony-Xperia-Z5s-camera-is-the-best-its-tested-so-far_id74256 Now they are ignoring the most important thing that Sony conveyed in the article. "We also believe Xperia Z5 Premium is capable of offering the clearest, sharpest Virtual Reality platform – we’re working on a few things here internally, so stay tuned for more news soon." Indeed, Virtual Reality is getting more and more attention, and this will be the best mobile device for VR. I really don't understand why PA is so bias against Sony. You mean biased toward samsung right? Who would want to see facebook, viber and tinder notifications in 4k anyway? Unless eagles and hawks know how to use phones, sony's approach on z5p display is not a deal breaker for me. That's easy. Snapdragon 810 has too weak GPU for 4K. Nope its has all its need to Run 4K for the UI and normal app at least. for game thats may be another matter but for game no current SOC can run them at 4k anyway. quite agree here. But... I don't think the UI speed will be stellar on UHD.